Happy employees are crucial to the success of your company – improved morale leads to a more productive workforce. 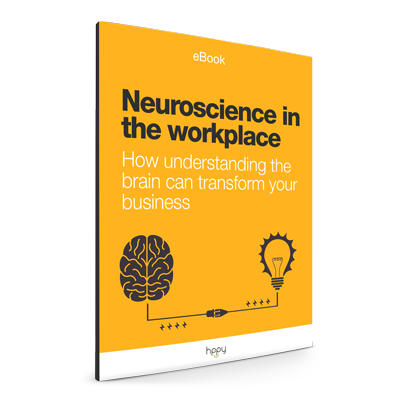 So how can you strike the balance between making your workplace interesting and fun, whilst keeping your employees motivated enough to reach their targets? 97% of employees and executives believe that poor communication within a team is the main reason for unsatisfactory outcomes. To ensure successful outcomes and prevent employee frustration, provide regular updates to your team. Making sure that employees are well-informed and feel included will strengthen their loyalty and they will be more inclined sell the company in a positive light when liaising with customers and clients. An approachable management team will limit mistakes as employees will feel comfortable asking questions or raising problems with senior management. Schedule in regular one-to-ones to discuss any issues, concerns and targets. Having clear and defined targets will keep an employee driven, focused and positive. Placing an emphasis on team work will encourage positivity in the work environment. Although it is essential to offer rewards for hard work and make employees feel valued, you don’t want to create a competitive work environment with strained relationships. Highlighting the importance of working towards one goal as a supportive team will prevent individuals from becoming overloaded and burning out. Implement regular staff wellbeing days so that teams can bond outside of the busy, stressful workplace. In addition, offering small perks, such as a complimentary breakfast once a month, can lift employee morale and make the office a more positive environment. Offering plenty of training and development opportunities is vital to maintaining a productive and motivated workforce. People are eager to progress and if you don’t offer them the tools to do so, they may grow bored and stale and want to move on. As well as offering benefits for employees, a nice office space will help boost employee morale. 80% of our sensory input at work is through our eyes and appropriate lighting in an office will increase employee performance as it will reduce eye fatigue and headaches. Show an interest in the health of your employees by encouraging regular breaks from their screens, provide access to fresh water and offer free fruit. This will help prevent fatigue from the long hours sitting at a desk, as well as making the employee feel valued by the company. Team meetings can often be monotonous, so to prevent them from becoming stale, try picking a location away from the office. There are meeting room locations, such as the rooms provided by Citizen M, that are specifically designed to provide an innovate space to get the creative juices going. Keeping your employees happy will ultimately benefit your company – by making them feel valued and included, you will encourage a more motivated and productive workforce. Employees who are happy in their workplace will be more inclined to meet their targets successfully and sell the company in a positive light when speaking to customers and clients.